We've served our country, now let us serve you. A veteran working for a repair service company in Cols. Oh. 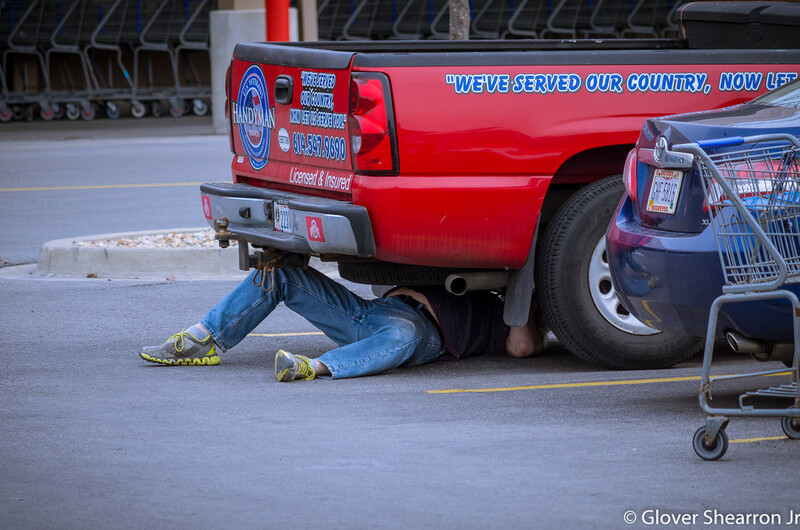 crawls under his truck to inspect a VERY loud muffler in the Sam's Club parking lot. He told me that he used some speaker wire to tie up what was left of it, 'cause he could not get it fixed until the first of the month. If you can .... give a veteran a break. Great shot and narrative - think your veterans receive more recognition than ours which makes me feel bad. Great picture that tells a story.